Innovative retractable design allows for quick and efficient set-up and disassembly of any length system. 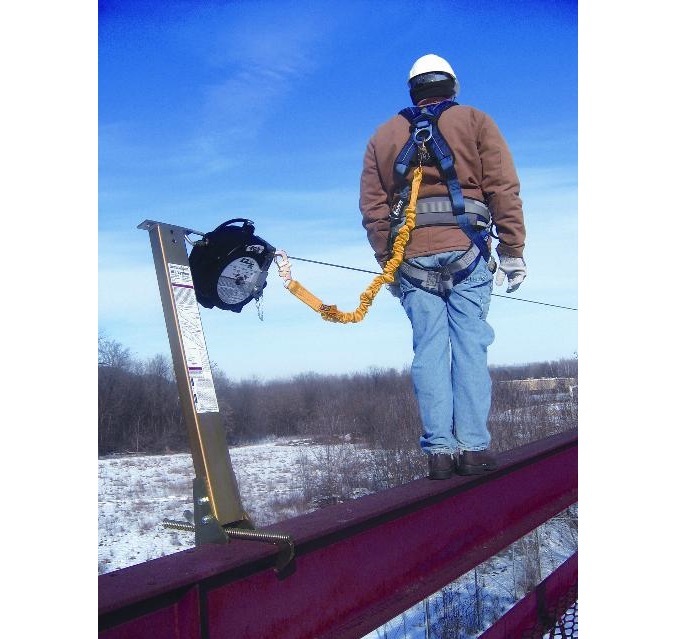 Retractable lifeline is simply pulled out for installation and retracted with built-in winch for dismantle. Entire 60’ system is retracted into easy-to-carry case which eliminates large, bulky coils of cable. Weighs 25 lbs. Built-in pre-tension and impact indicators take guess work out of set-up and inspection. Provides hands-free horizontal mobility and continuous protection for (2) users per span, up to (6) users per system. Stanchions not included.